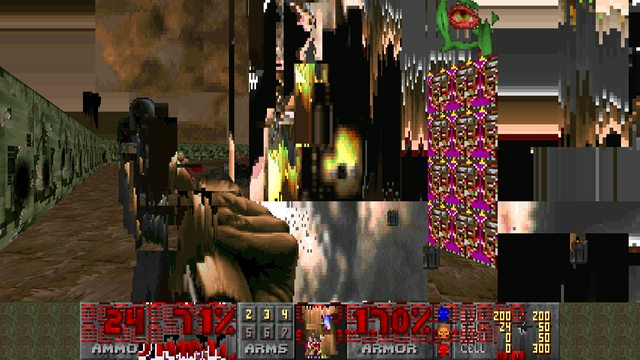 ZDoom • View topic - lilith.pk3 - /idgames released! 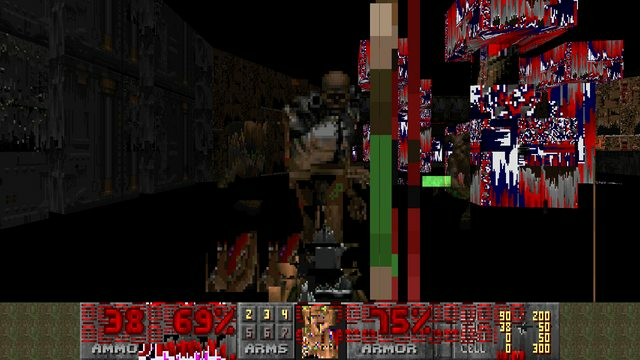 For some reason glitchy stuff has its appeal, even to me if you'd ever believe that, and I liked the mapset solely on the basis of that. But it did very quickly reach that point of "this is getting a bit drawn out" towards the end. I like the inter-level messages though. This is a really cute and neat alternative idea, even if glitching and corruption stuff triggers a horrible lizard brain anxiety in me in extreme cases. On one hand, it would be neat to see more, but on the other hand, I don't really think this kind of thing would stand up to a sequel or an extended level set. Even if at the gameplay level it's janky (By design) it is really fascinating to look at the engine twist and contort itself like this. 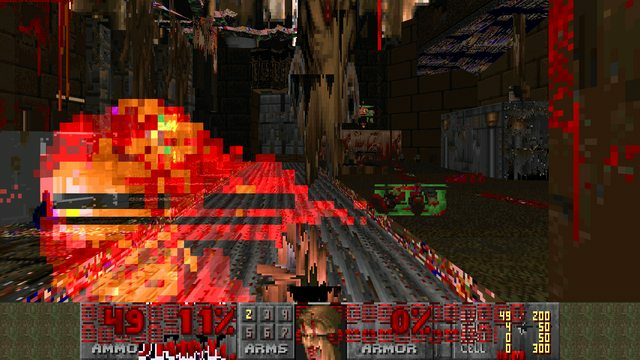 It is particularly fascinating how the levels are actually still playable without randomly groping at walls looking for a switch, despite everything. Overall, an interesting trip. I finished the mod with a mixed feeling of relieved to have seen it to its end and yet somehow wanting more. Kind of a glitched feeling, really. seeing the ghost images of revenants in homs was pretty good trip up. 7 maps was a good length too, and things were juuust parsable enough to navigate most of the time (and the automap still worked fine, thankfully). all in all this was a fun level set, and having randomized pitches with all the sound detail was a nice touch. I'd be interesting to see a video showcasing the creation of different effects, dated as they may be. here's some new screens. of something mildly secret maybe. Seems pretty cool, I'll try this when I get back from vacation. 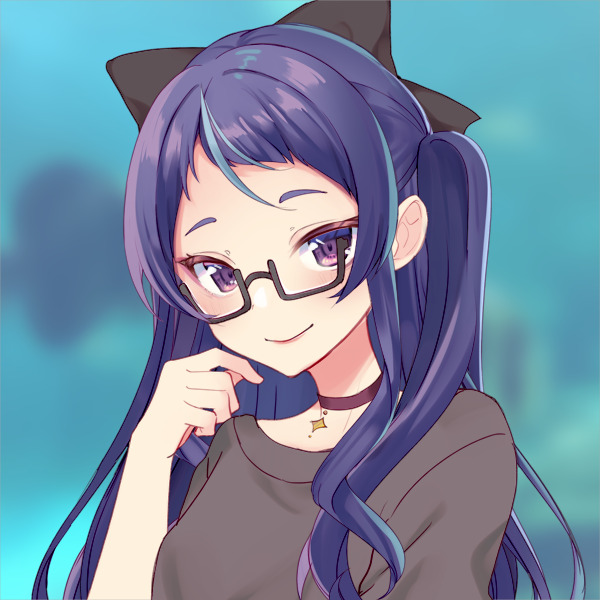 Re: lilith.pk3 - /idgames released! it's up on idgames. 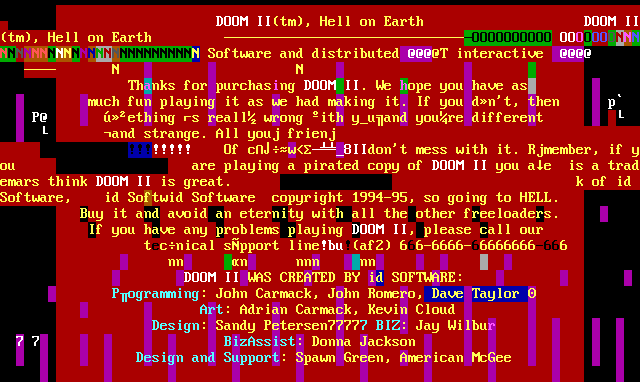 here's the doomworld downloads section url, and here's the oldschool legacy page. May we know now, why "lilith"? This is our "Sky May Be" of new generation of ZDoom mod developers! Last edited by RastaManGames on Wed Sep 13, 2017 3:39 am, edited 1 time in total. 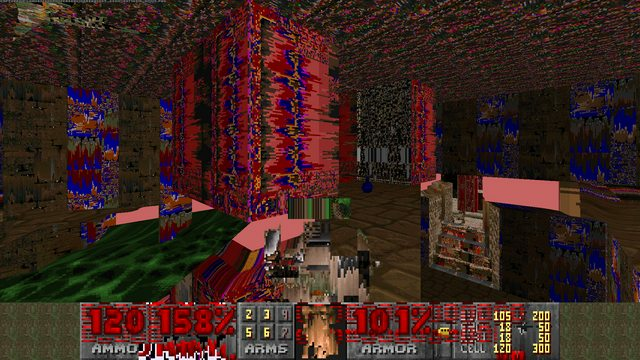 Look like what happens when you run doom though a ROM Corrupter. The fact that this is an intentionally glitched up map set is very unique. 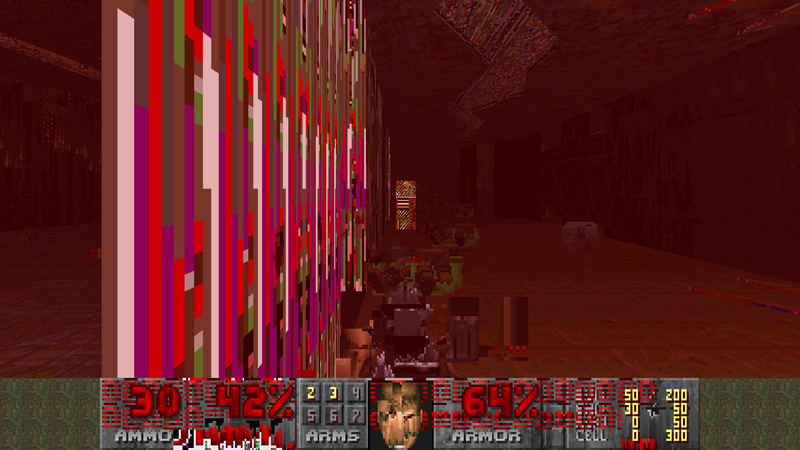 But I think it might be better with some corrupted and glitched up music. Bezhael wrote: Look like what happens when you run doom though a ROM Corrupter. 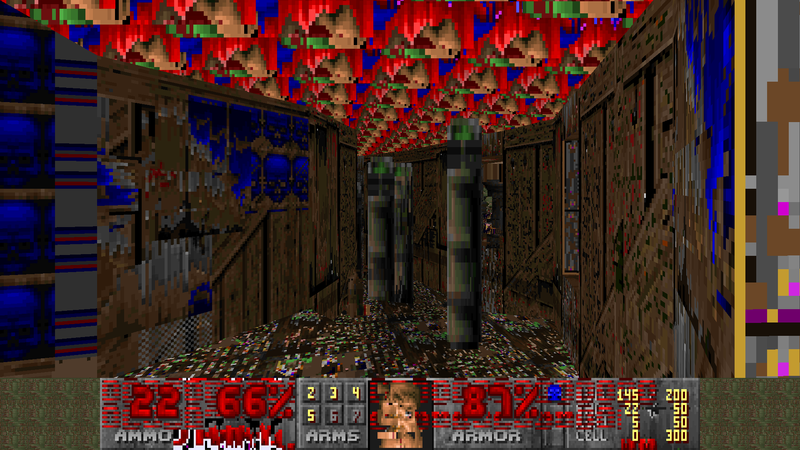 The fact that this is an intentionally glitched up map set is very unique. But I think it might be better with some corrupted and glitched up music. was the music that came with it not glitched up enough? Like really messed up garbled mess of glitched up sounds.